» What is the supply of unsold real estate in the area? » How fast are real estate selling right now in the area? » How do actual selling prices compare to listing prices in the area? » How do you get more for the money in a changing market? Providing you with real-time MLS market updates and trend analysis for real estate within the Tucson Arizona Regional MLS Board and Arizona Regional MLS Board and up-to-the minute MLS graphical reports automatically delivered and updated direct to you. This is a complimentary service available to anyone interested in a home within the TARMLS and ARMLS Board. Click here for your MyOwnArizona Market Snapshot today. You'll have your report in under 30 minutes! One way to help with understanding the value of your real estate is to see what other properties in your neighborhood have sold for. 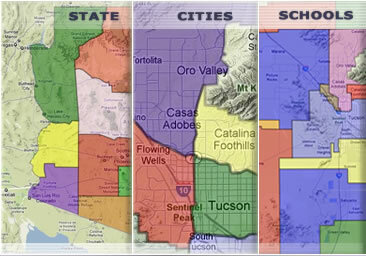 Simply enter your address and our MyOwnArizona™ Neighborhood Comparison tool will pull all area recent sales. There's no easier way to find out what sold in your neighborhood and for how much! 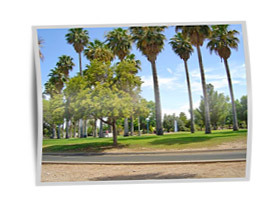 MyOwnArizona™ Neighborhood Comparison is a fast and reliable way for first-time homebuyers and experienced real estate buyers and sellers to make informed pricing decisions. Our database contains purchase price records, and the database is updated constantly. Home transaction prices are typically available from our data providers 6 weeks after the close of sale or even earlier in particular cases. Historical coverage varies, but as a rule of thumb, 5 years of historical data is available. 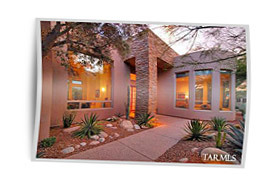 You can have MyOwnArizona™ sales staff search through what the industry calls "comps" -- comparable properties.